We stayed in the two bedroom apartment for two night. Nice Staff. The Shataf DG metro station is more convenient to the Hotel. It’s about 10 mins to go to the Mall of the Emirates. On the left side of the hotel, we found a restaurant with a good taste roast chicken. Stayed at this hotel apartment for 3 months. Had a comfortable stay. Very near to mall of emirates. Staff was very friendly and cooperative. However, Internet speed was not more than 3.90Mbps. Pool closes at 7PM. Monthly rates are expensive with respect to the facilities provided. Overall its a good hotel apartment for short term stay for families and couples. Easy to find, just next to Mall of Emirates. Ample car park at B1 and B2. The apartment is very spacious. Very comfortable for the family. Have a nice view of Burj Al Arab from the balcony. The breakfast at the lobby area is good. Staff are very friendly and helpful. The kitchen is big and amenities are good including a washer. Will stay here again if I drop by in Dubai. Keep up the good work. Missing Auris already. Staff always have a nice word to say to us and they even remembered my husbands birthday, so sweet of them. Good location of want to be near MOE but for Muslims who want to shop Abayas and Jubahs and other traditional clothing, better to stay at hotels near Naïf as the souk there is what makes Dubai a trip I will remember. So many abayas and Jubahs. Near metro station for around 8 mins walk Room are clean and really big A small local supermarket nearby. Hotel Staff was very cooperative. 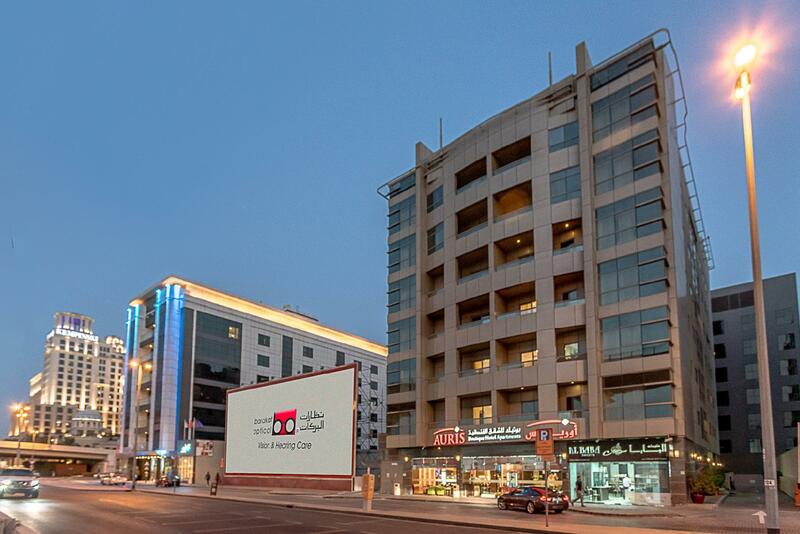 near to Sharaf DG and Mall of Emirates Metro Station. Will love to stay again. Rather small hotel but near to MOE. However the weather was rather hot makes it slightly impossible for us to walk to the mall without feeling out of breath. Apartment was really big and equipped with 2 bathrooms with bathtubs. Staffs were friendly. Great place would consider again if visiting dubai! I know they have a pool but didnt bother as the weather was too hot for us to swim in as it was an open pool at the roof. 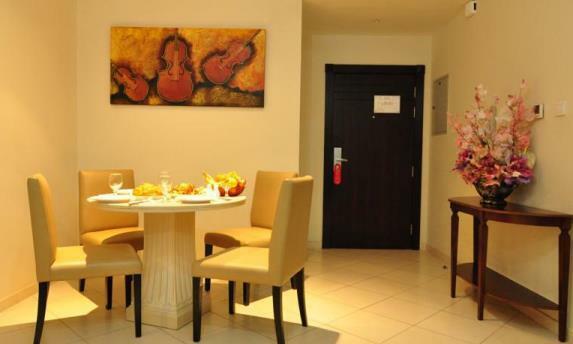 I had a comfortable stay at Auris Boutique Hotel Apartment Dubai and I must say that I truly enjoyed it. 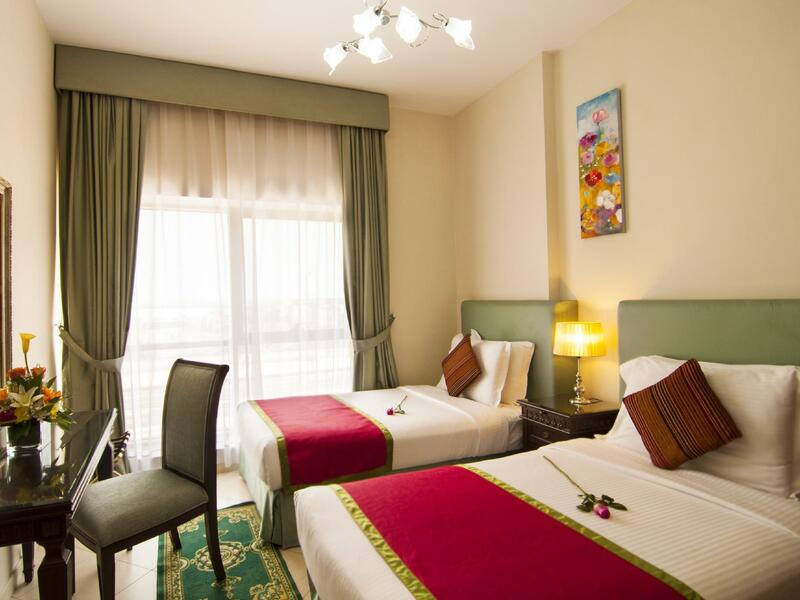 Very spacious rooms, extremely helpful and friendly staff, very close to Mall of Emirates and Metro Station. It is highly recommended for families and couples. Few things to note is that the gym and the pool closes at 7pm. The newspaper should be delivered to each apartment but does not happens and you have to physically take it from reception. Arrived late, but had no problem with my reservation. The mini bar prices were reasonable. The hot water in the shower was only lukewarm. I would recommend this hotel, due to its prime location next to Mall of the Emirates. Wonderful. Staff so accommodating. Apts big and clean. Every thing was very good but if more attention given to housekeeping then everything would be perfect. I would definitely stay there again because of the location. The staff were always very friendly and nothing was a problem. The roof top pool was good. สถานีรถไฟใต้ดิน Mall of the Emirates - ระยะ 0.57 กม.